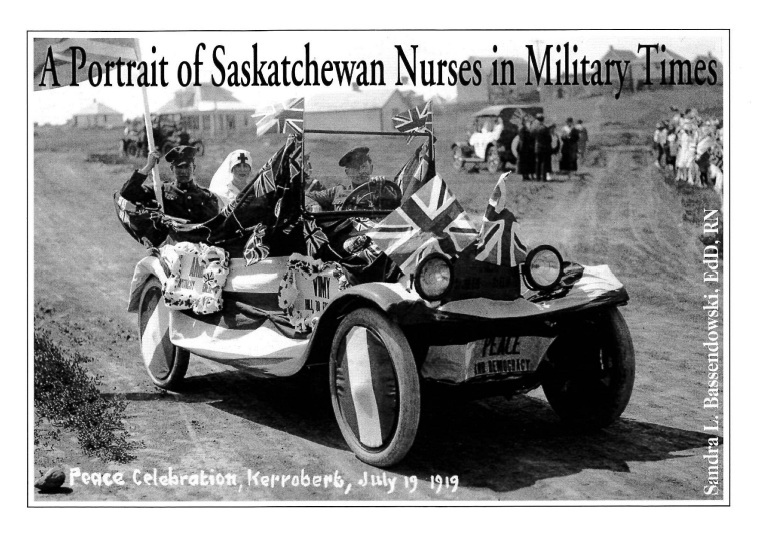 Saskatchewan nurses have a long history of enlisting and serving in the military. Working overseas in military hospitals and casualty clearing stations, these nurses played an integral role during military times. In 1917, lacking equality and the right to vote, nurses formed a professional licensing body while working tirelessly to provide safe and competent care to the citizens of Saskatchewan. When the call came to enlist, many nurses volunteered for war and many more remained at home and took care of the individuals, families, and communities in Saskatchewan. The nursing profession, as we know it today, has evolved from the changes and decisions made by those brave and innovative nurses of the past. A Portrait of Saskatchewan Nurses in Military Times is a historical book that focuses on the lives and experiences of many Saskatchewan nurses who served both at home and overseas during World Wars I and II. Authored by Dr. Sandra Bassendowski, with contributions from several nursing students from the Nursing Education Program of Saskatchewan (NEPS), this book delves into the past so that we may gain a different perspective of the nursing profession. Available in November, 2012, all proceeds from book sales go towards a bursary with the Saskatchewan Nurses Foundation. Books can be purchased directly from Sandra Bassendowski at sandra.bassendowski@usask.ca or from the Saskatchewan Nurses Foundation. The book is $30 cash plus shipping fees.